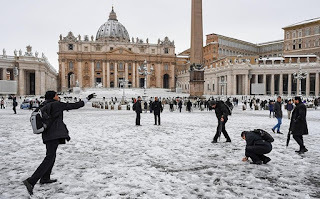 The sudden blanket of snow on Rome, a city unequipped to deal with snow emergencies, canceled school classes and limited Fiumicino International Airport to just one runway. 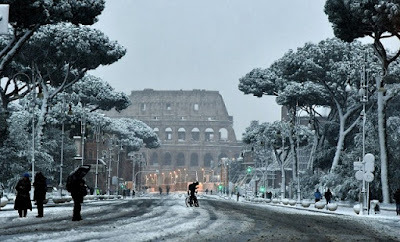 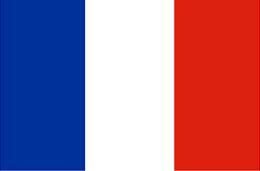 Officials said Rome's government sought to borrow snowplows and other equipment from other cities and towns, and Italian police advised residents of the Italian capital to stay indoors. Many chose instead to go for a walk in the rare snowfall. 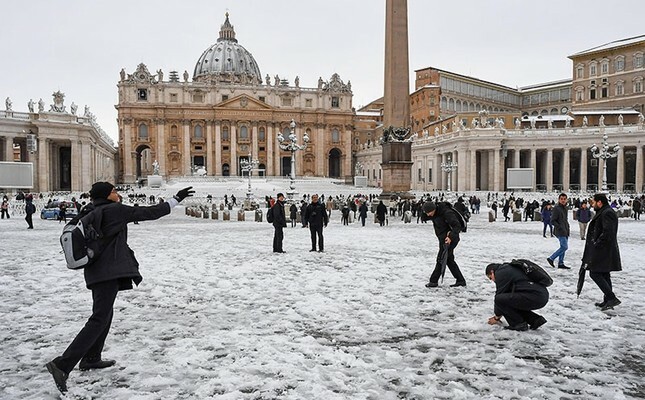 An impromptu snowball fight broke out in St. Peter's Square, and residents and tourists were treated to a rare view of the city's notable monuments under a blanket of snow. Rain and warmer temperatures are expected in Rome beginning Tuesday.